October 20, 2013 — I now know what it’s like to be surrounded by more than 30,000 glowing jack-o-lanterns. 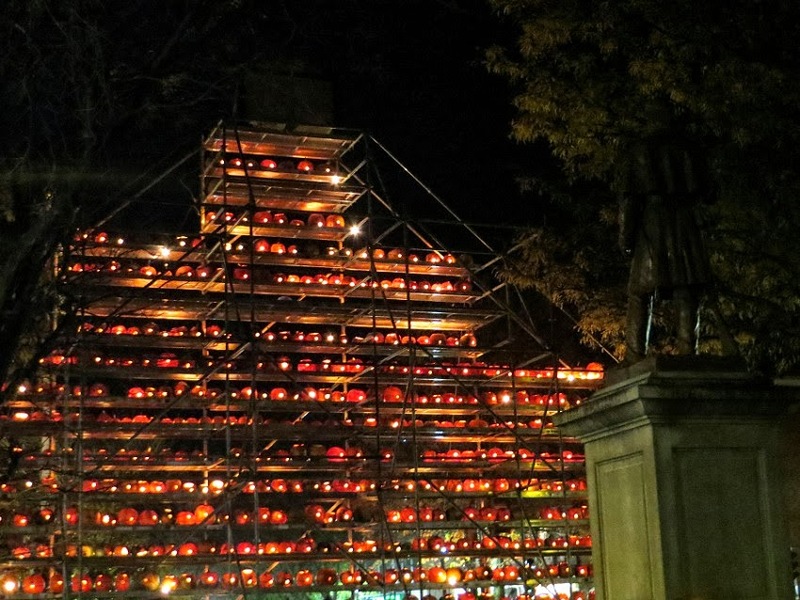 A world record-breaking 30,000 jack-o-lanterns. And as much as I’d like to describe the experience as wallowing in the world’s coolest ball pit or walking amidst the beaming faces of the blessed in Paradise, the truth is, I also know what it’s like to be surrounded by more than 30 billion people. So the whole thing was a lot like just being in a massive crowd. 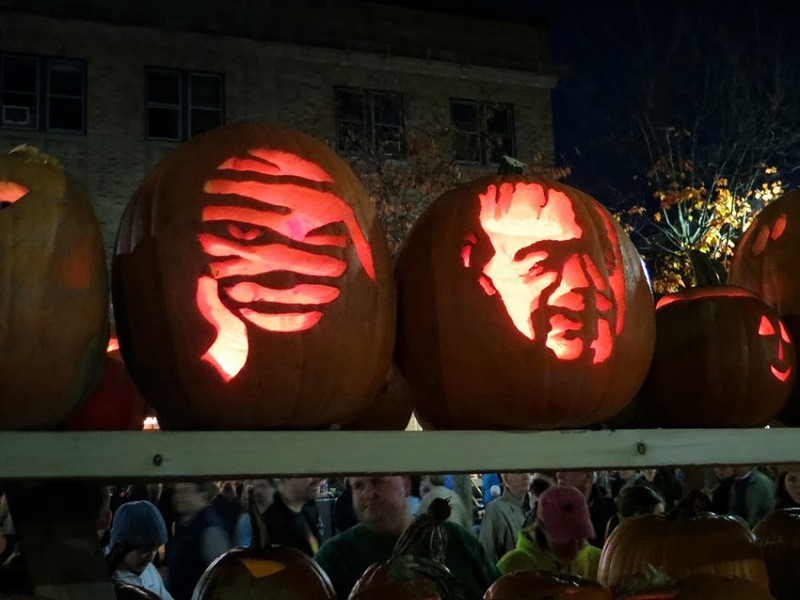 Burning jack-o-lanterns and suffocating crowds…that’s the Keene Pumpkin Festival in a pumpkin shell. 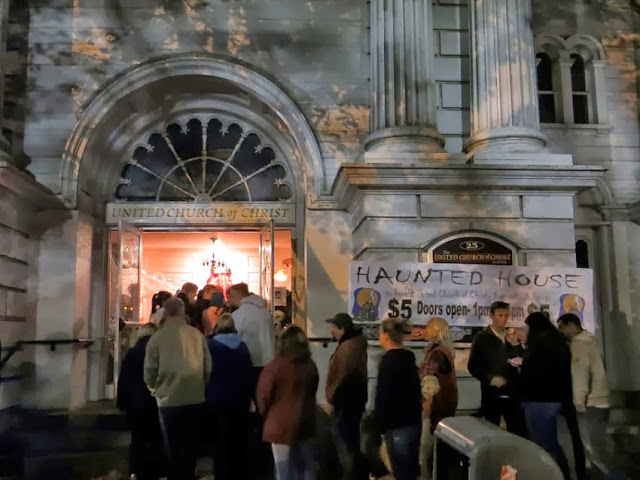 I wrote about my first experience (of three, now) at the festival years ago, lumping the topic in with Keene’s place as the filming location of the movie Jumanji. In looking over what I wrote, I generally agree with the observations of my past self. That doesn’t always happen. And while I still believe that it's a way cool event, the one thing I don’t think I stressed enough in that past piece was just how crowded this place gets. You park in designated lots on the outskirts of town and are school-bused into the downtown itself. The main road going in is cut off to cars and turned into long pedestrian causeway lined with pumpkins and leading to the small green in the center of town…all to accommodate a density of people that I can only compare to visiting a theme park on its busiest day. One of these years maybe I’ll check it out during the less-crowded (I assume) daytime. 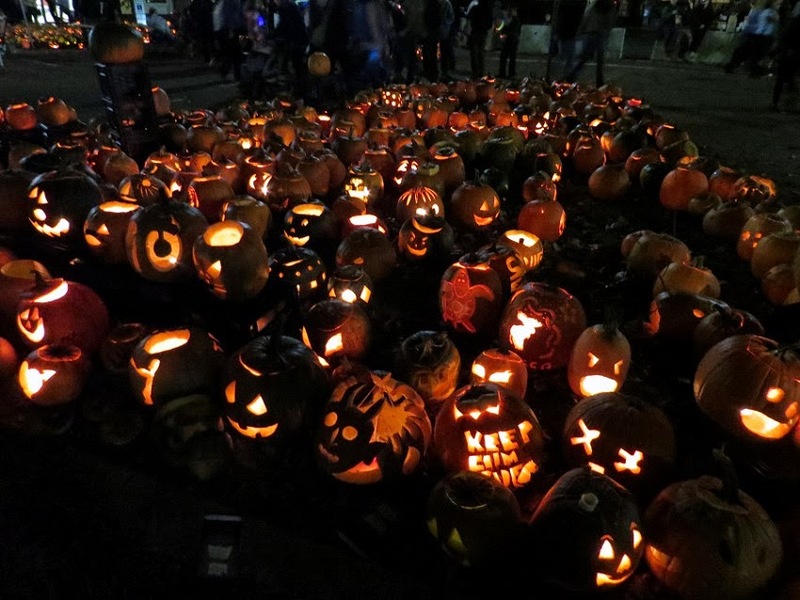 However, a big part of me can’t fathom coming to see tens of thousands of jack-o’s and not seeing them beaming into the night and pulling us in like suicidal moths. This year, somehow we managed to time it for the official counting of the pumpkins. 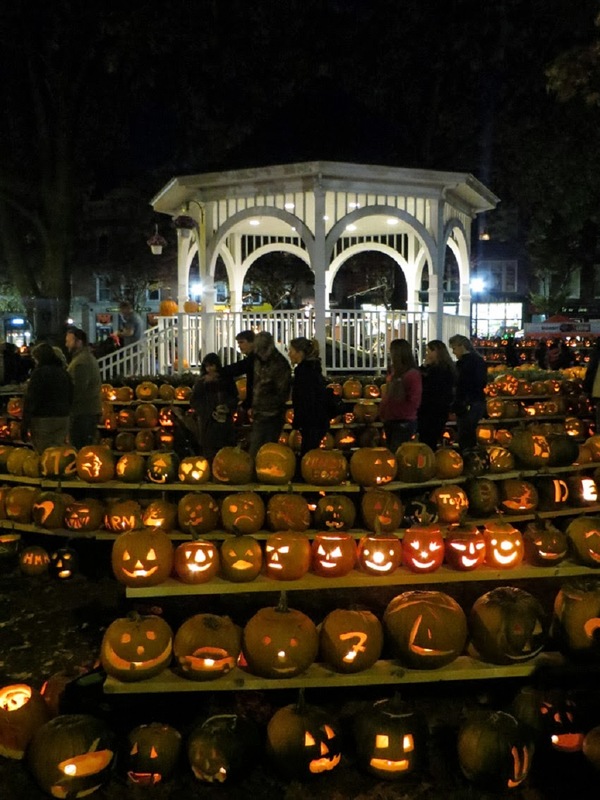 You see, about a decade ago, Keene held the record for most jack-o-lanterns lit at one place. Actually, they held it for about a decade, beating their own previous tallies eight different times. However, in 2006, they lost the record to Boston, whose residents gathered 30,128. Keene’s been trying to get it back ever since, but have never been able to break the 30K mark. 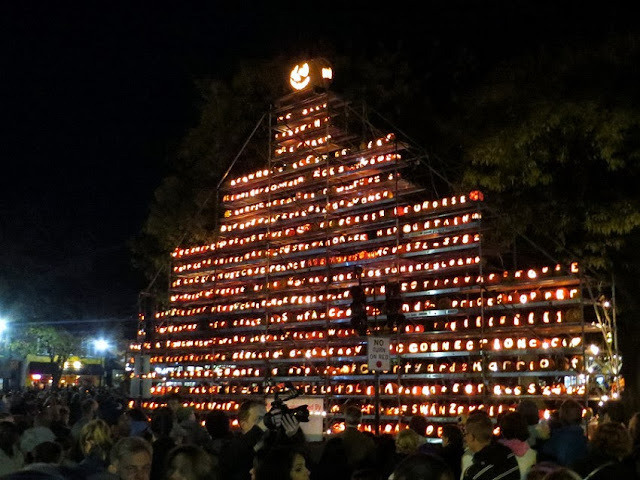 Anyway, I thought that the event organizers just counted the pumpkins as they were registered, but apparently, to get the record, the lanterns have to be all firing simultaneously for a period of five minutes. 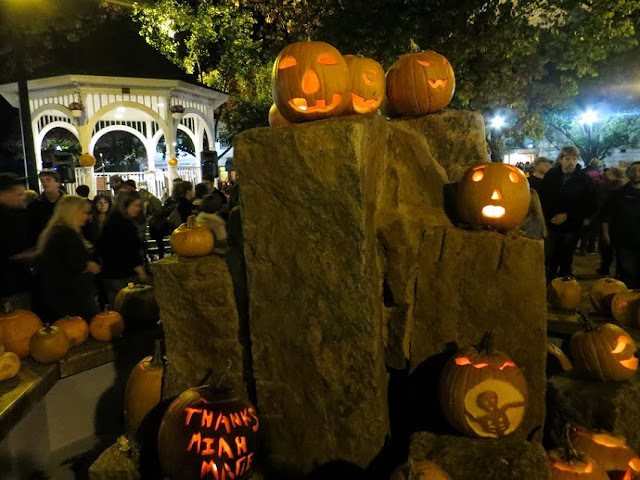 So what happens is volunteers are assigned to various areas, and it’s their job to make sure all pumpkins in that area remain lit during the five-minute period and then to count them. So somebody gets on a loudspeaker and tells the entire crowd of seven bazillion to stop moving, stop talking, and generally stop crowding so that the pumpkin counters can do their job without distraction and without danger of someone inadvertently snuffing a pumpkin soul. Obviously, not everybody paid attention to the orders, but enough did that it was a strange, strange moment in time. 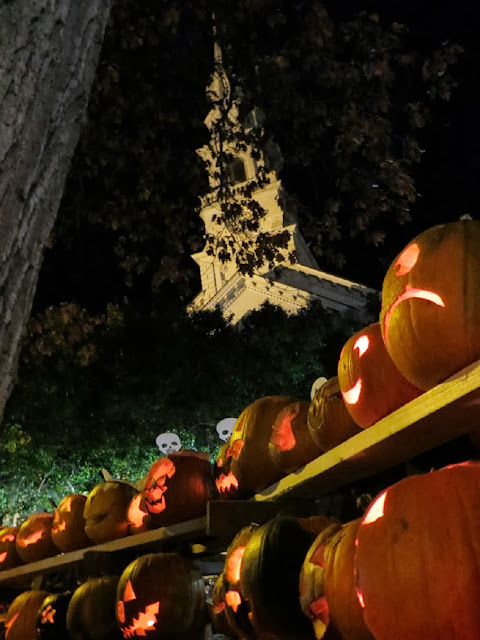 I felt like part of a pagan cult, silently gazing at a 40-foot-tall tower of pumpkins, waiting for some holy sign from on high. 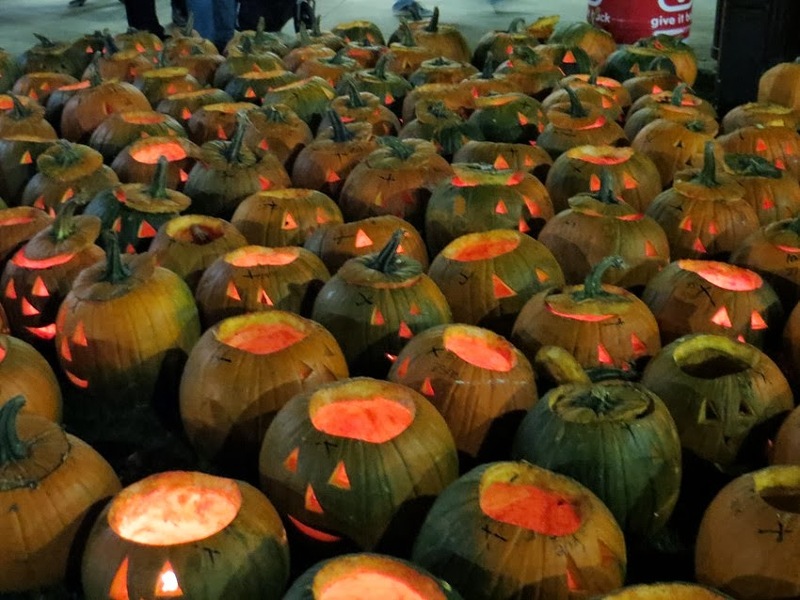 gets stuck staring at jack-o-lantern butts. After the five-minute eternity, we were finally given the okay to start jostling against each other again. While we were doing that, my wife and I were asked to be interviewed…by a South Korean television crew. That’s how big this festival is getting. Of course, we said yes. I remember saying lots of cheesy things to them at a speed of English that there’s no way they comprehended. As to whether Keene reclaimed its record, the official count was 30,581, 453 more orange globes than the Boston 2006 record. Yahtzee. 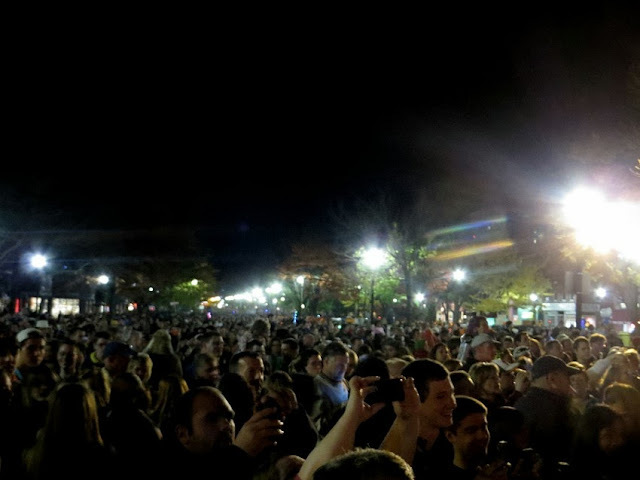 So history will tell that Keene grabbed reclaimed the record it invented decades ago. 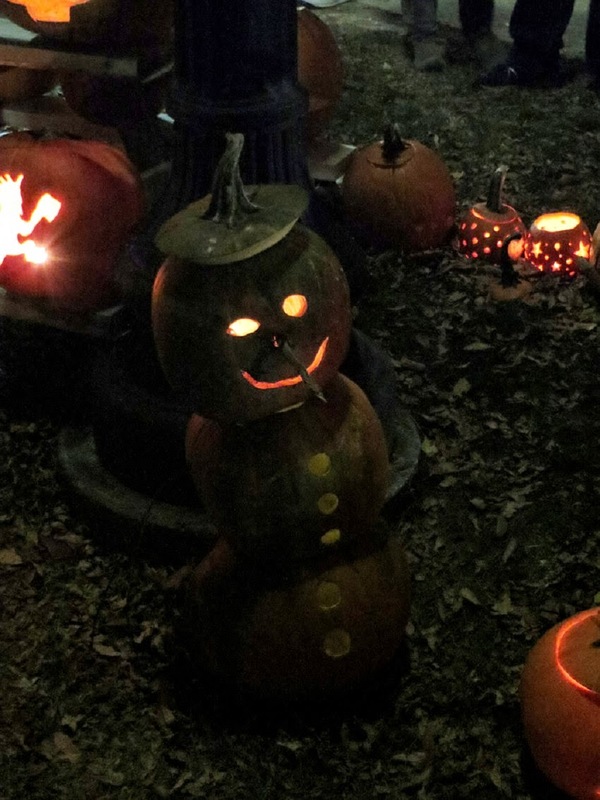 Betcha didn’t know jack-o-lantern collecting was so intense. 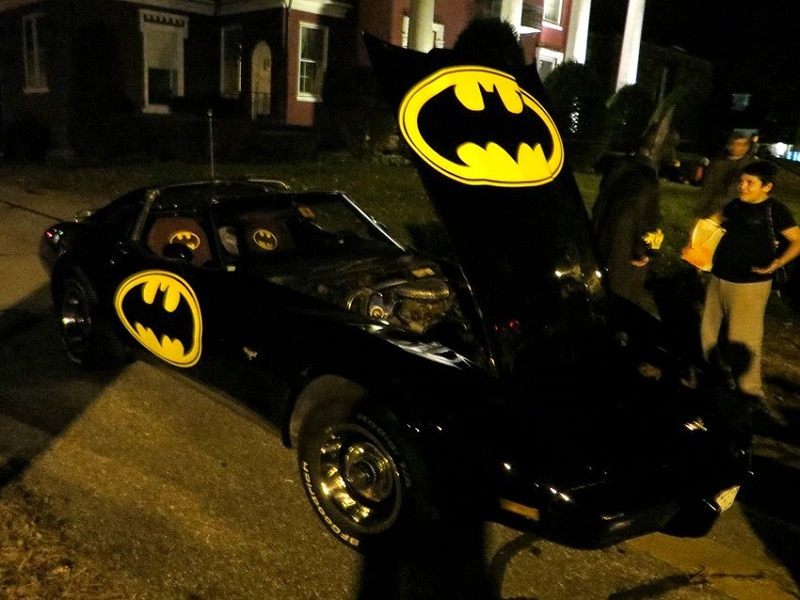 Oh, and we saw Batman. 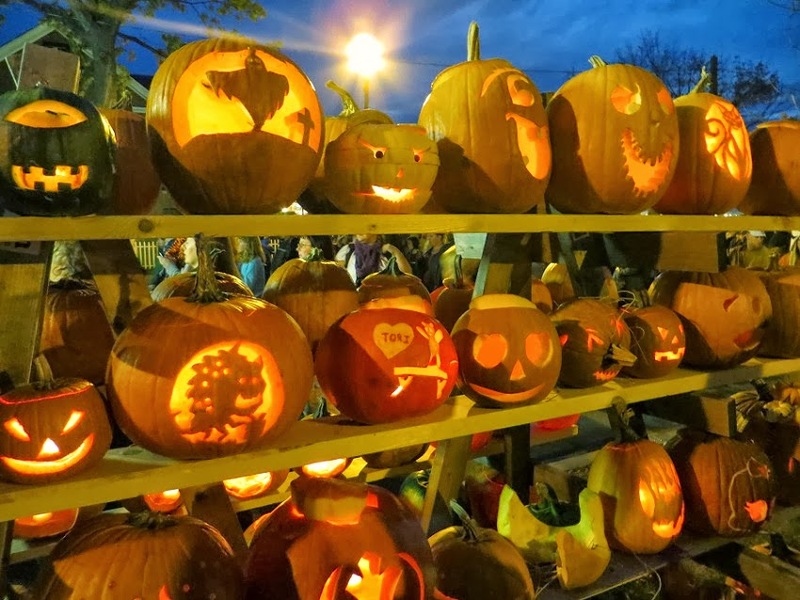 Somebody must’ve carved the bat signal into one of the gourds. 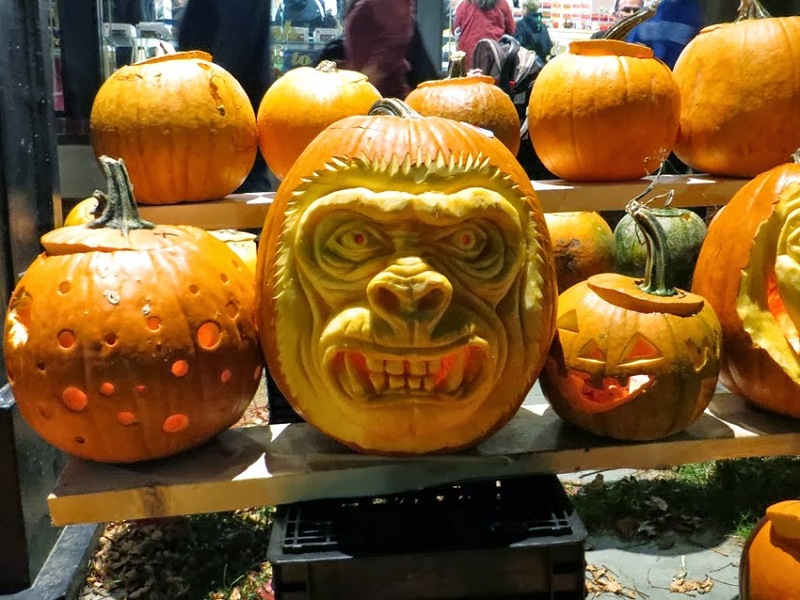 I GET TO DO A CORRECTION: I'd originally stated in this post that the world record was broken in 2011 by Highland, IL, with 3,919 burning vegetable faces, but I've been told by multiple parties since then that the Highland record was never substantiated by Guinness. This Associated Press article correction seems to back this up, so I guess that means this year's tally gives Keene the pumpkin crown. Like I said...jack-o-lantern collecting is intense. I'm also getting some jack-o-lantern heat on email, FB, and the comments below on how I characterized the event as extremely crowded. Not taking that back. This event is crowded, crowded, crowded. 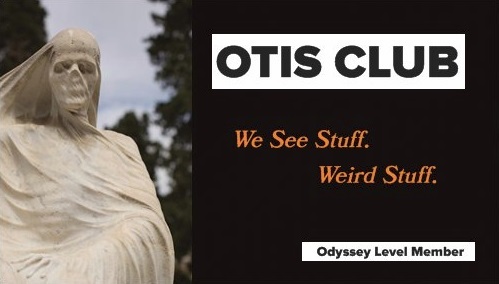 Just is. But I didn't mean to imply it's not diggable. After all, that's why it's crowded. I'd also, as I mentioned, covered all the best features of the event here already.